England centre-back Callum Chambers have confirmed that he will return to parent club Arsenal this summer following an impressive loan spell with Middlesbrough last season. The 22-year-old appeared in a total of 25 league outings for Boro, but he was unable to prevent the Riverside club from Premier League relegation. With the transfer window set to slam shut tomorrow evening, Arsenal are stepping up their efforts to sign Schalke starlet Julian Draxler, the Express understands. However, it has been reported that the Bundesliga club will consider accepting a £30m bid, under the proviso that they can keep the midfielder for the rest of this season in a deal similar to that which saw Lukas Poldolski arrive from FC Koln eighteen months ago. 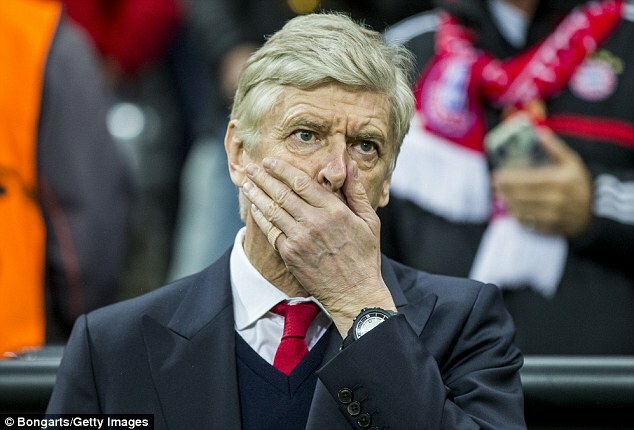 Arsenal missed out on top spot in Group F after losing 2-0 to Napoli at the Stadio San Paolo yesterday evening. Goals from former Gunners target Gonzalo Higuain and Jose Callejon secured victory for Rafael Benitez’s men, who joined Arsenal and Borussia Dortmund on twelve points but miss out due to their head to head record against both teams. Arsenal head to Cardiff City on Saturday afternoon looking to strengthen their hold at the top of the Premier League. Theo Walcott is pushing for his first league start in over ten weeks after making back to back substitute appearances, while Kieran Gibbs is available for selection following illness. Arsenal midfielder Jack Wilshere is expected to be fit for tomorrow lunch-time’s clash with manager-less Crystal Palace. The England international was substituted with an ankle knock in Tuesday’s defeat to Borussia Dortmund, but should feature at Selhurst Park, where he will be hoping to score for a third successive league game. Barcelona are preparing a generous offer for Jack Wilshere, according to the Daily Star. It has emerged that the La Liga champions have sent scouts to cast an eye over the England international, and they are expected to make an opening bid when the transfer window reopens in January.